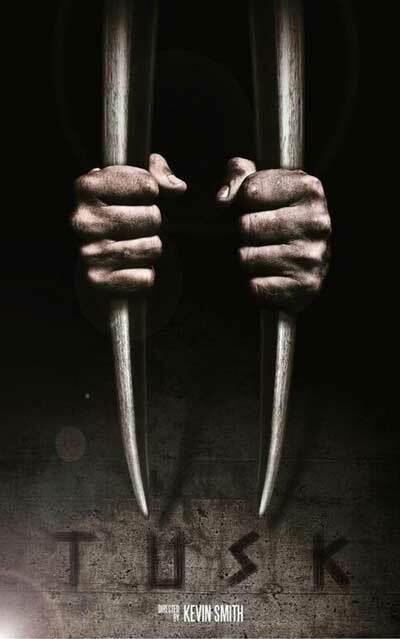 Originating as a comically absurd high concept pitch for a movie on Kevin Smith’s “Smodcast”, TUSK boasts a self-consciously outrageous premise seemingly spoofing THE HUMAN CENTIPEDE franchise while taking the contemporary trend for torture-based horror films to intentionally ridiculous ends. Its biggest achievement is providing another great showcase for veteran character actor Michael Parks, who was outstanding in Smith’s previous, far straighter genre movie RED STATE. 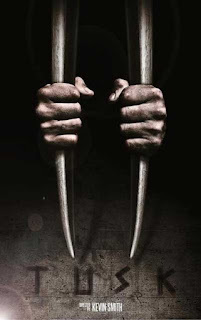 In TUSK, obnoxious but highly successful podcaster Justin Long heads to Manitoba for his show, meeting up with an ageing recluse (Parks) who regales him with stories of hunting Great Whites in Serbia, meeting Hemingway at Normandy…and his belief that, since man is such a savage animal, it is better to become a walrus. Parks’ demented mission involves transforming Long into a grotesque likeness of said creature, though Smith mutes the surgical horrors in favour of a tonally uneven story of his fate told from differing perspectives, including that of his co-host Haley Joel Osment and his unfeasibly hot girlfriend (Genesis Rodriguez). Obvious jokes about Canadian stereotypes share space with seemingly sincere, straight performances by the young protagonists, but the whole thing is unbalanced by Johnny Depp’s notably self-indulgent extended cameo (under the pseudonym Guy Lapointe) as a comedy detective channelling Peter Sellers and overdoing the boss-eyed twitchiness. It’s not nearly as funny as it thinks it is, and it seems condescending of the horror genre as a whole, but Parks is the saving grace: beguiling, strangely tender and effortlessly charismatic as an embittered yet anecdotal gentleman with a whole lot of stories to tell.